Tip 2: Turn calling into a learning experience. It’s only natural for you to do most of the calling – but, explain what you’re doing along with why you’re doing it. It’s way more fun to learn about why and what you’re doing than just sit there. I’m also a firm believer in letting them try. If jakes come in and you don’t intend on shooting them, let the kids try and make them gobble. This can be a huge confidence booster and make the entire hunt more fun and memorable. Tip 3: Pack snacks and take breaks. When packing for your hunt be sure to bring plenty of snacks, games and other things to keep the kids busy. Turkey hunting is fun, but it can also be a little boring when hunting from a blind. By doing this you can extend their attention span and keep them interested while taking a few breaks. If kids are doing the hunting be sure to practice several dry runs without turkeys nearby. Go through a variety of possibilities and make sure they are comfortable and know exactly where to shoot. Also discuss when they can fire, when it’s ok to take the safety off and the different positions they can shoot a turkey. Tip 4: Choose the right ammo. When it comes to deciding on the gun and ammo I’m a huge believer in sending kids off with a 20-gauge. 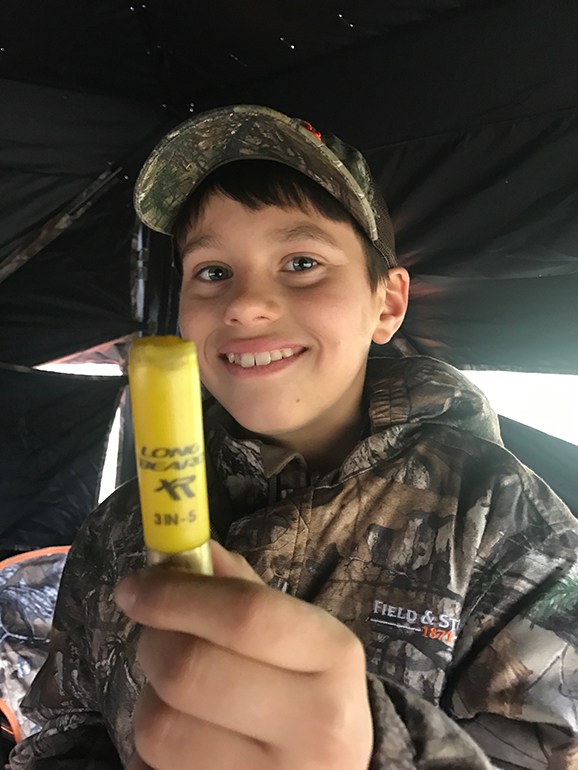 Sure there are those who are bigger who may be able to handle the recoil of a 12-gauge, but Winchester Long Beard XR is a slam-dunk for youth hunters and anybody who’s looking for a little less recoil. I also highly recommend practicing from a lead sled prior to the hunt so kids know what to expect. Lastly, when it comes down to the hunt, ensure they’re steady and comfortable. For this I like using a Bog Pod tri-pod for not only kids buy myself as well. I get super excited when turkeys come, in so I need all the help I can get! 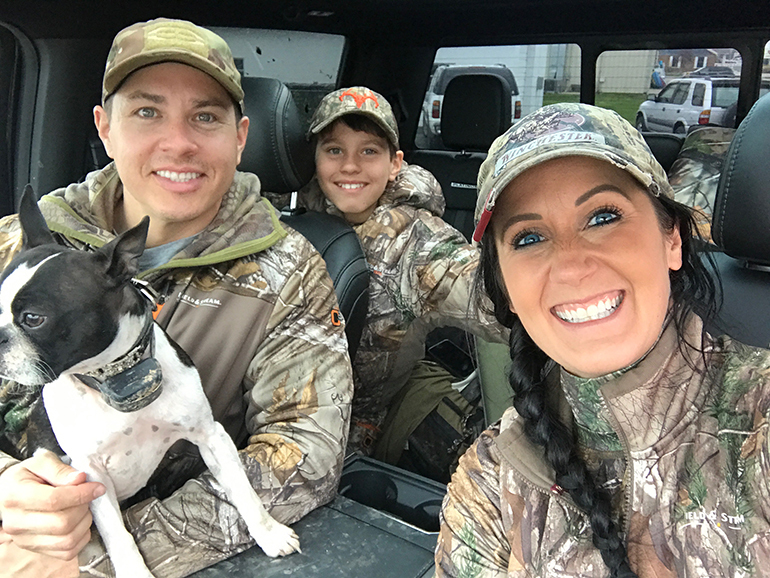 Overall, turkey hunting is one of my favorite for spending time with friends and family. 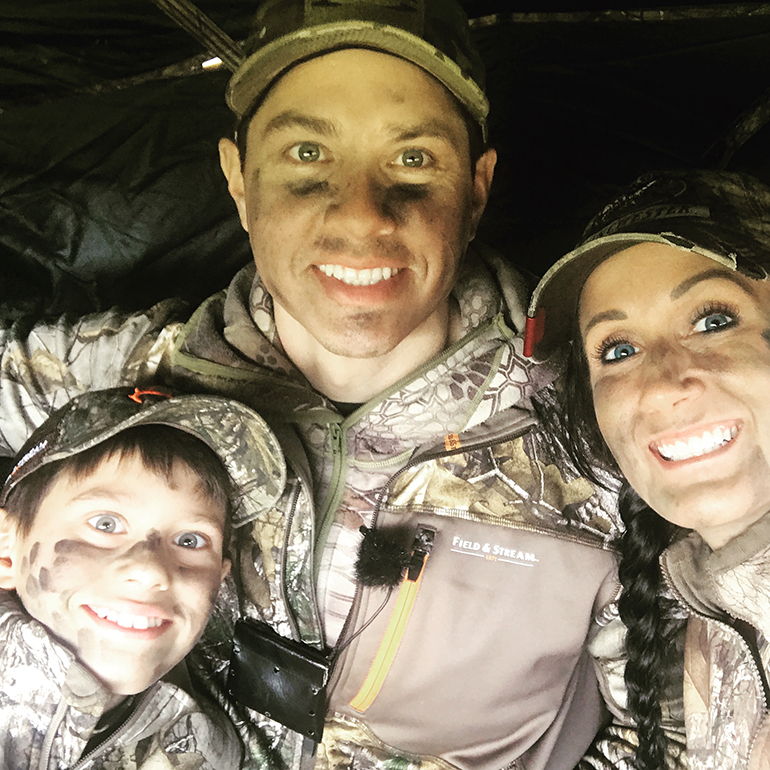 It’s very different from deer hunting as you can actually hunt together, see each other’s’ success and help with the hunt either by calling or just being around for moral support. Recently, I had the privilege of taking a bunch of different people out into the field for their first turkeys. First up was Cpl. Jared Smith, USMC from “Wishes For Warriors” for his very first turkey in Kansas. We actually went spoonbill fishing before this hunt and this turned out to be the icing on the cake. It wasn’t just a fun experience; it was a new friendship that was made all because of the outdoors. 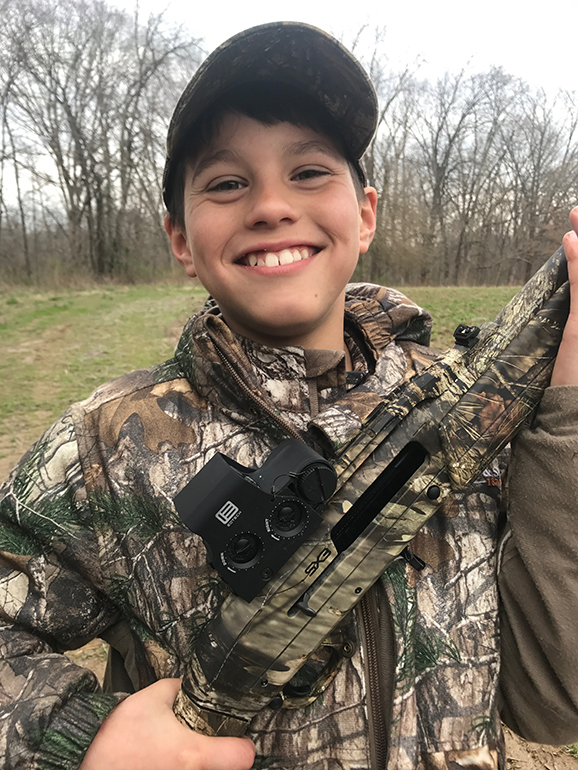 Next was my good friend Ben Bearshield’s son Noah on a youth day hunt in Illinois. We let Noah practice calling, eat snacks, put the decoys out and after all his hard work he finally got a big gobbler to come in on the last day. Turkey hunting in Illinois ends every day at 1pm, so we also got to do a little fishing each afternoon which made things even better. After all these great experiences I was also lucky enough to take several beautiful turkeys this season and most importantly capture some incredible footage along the way highlighting all the fun we had together.